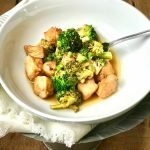 This delicious Instant Pot Chicken and Broccoli is a healthier spin on the take-out favorite! It’s gluten-free, dairy-free, 21 Day Fix approved, and oh-so-easy to make in the Instant Pot! This post contains affiliate links to products I’m obsessed with. 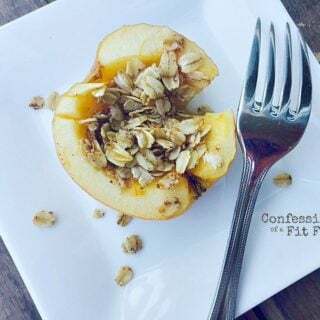 Confession #137 – I am not sure that I could EVER put into words how cool it is to see what you guys are cooking from this blog. And sometimes a recipe just takes off from the start…and there you are on social media, cooking up my latest blog post and it’s honestly beyond my wildest dreams. Like the Instant Pot Beef and Broccoli I posted earlier this month. You guys wasted no time trying that one and I am so, so happy it seems like a major win. 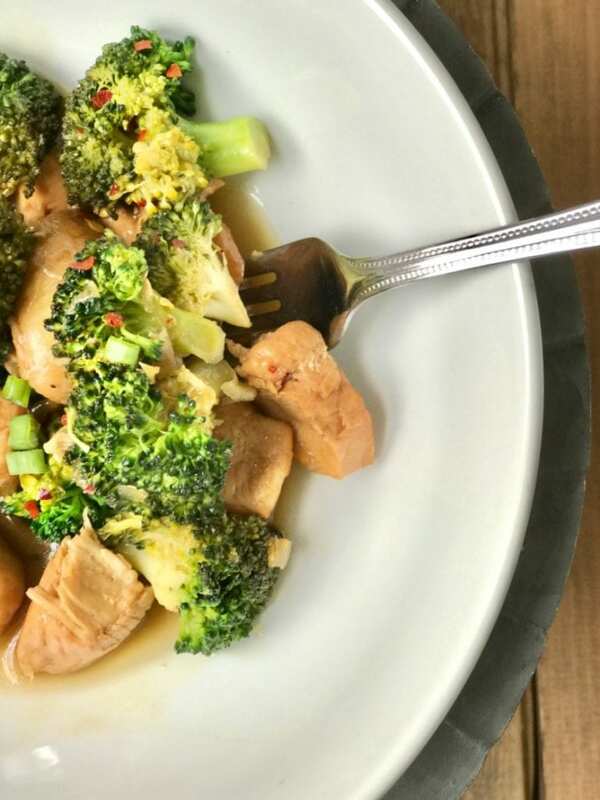 And for all of you who have wanted a chicken version, this is essentially the very same recipe using diced up chicken breast, so I hope it makes you just as happy as the beef one! Because the boneless chicken tenderloins were cut into bite sized pieces before cooking, this only took 7 minutes on high pressure. You can totally sub chicken thighs if you want, but I was really pleased with how the breast cooked for this recipe. I did take them out when I was thickening the sauce so they wouldn’t get dry, as I have to admit I get a little worried when it comes to IP and overcooked chicken…but it delivered this time! 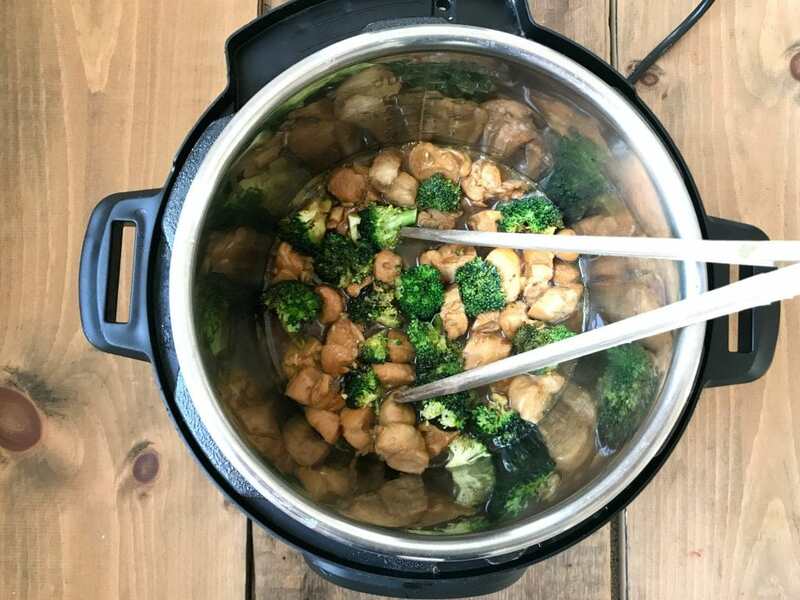 And just like the Beef version, the broccoli just steams itself in the hot pot after cook time. Pretty freaking awesome not to have to dirty another pot steaming it, isn’t it? And if you hate broccoli, you can totally make this with sugar snap peas, bell peppers, or whatever your heart desires. Do you, ok? Oh – and for all of your guys following the 80 Day Obsession, you could easily cut the oil in half and add some sesame seeds! Then you have a perfect Green, Red, Orange meal here! This preps really well, too, so you can make a bunch for the week. 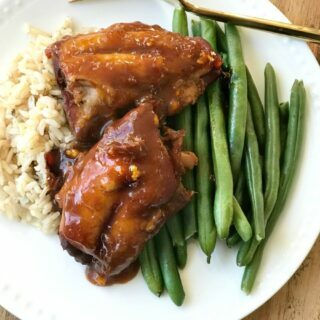 Another quick and easy Instant Pot Meal! 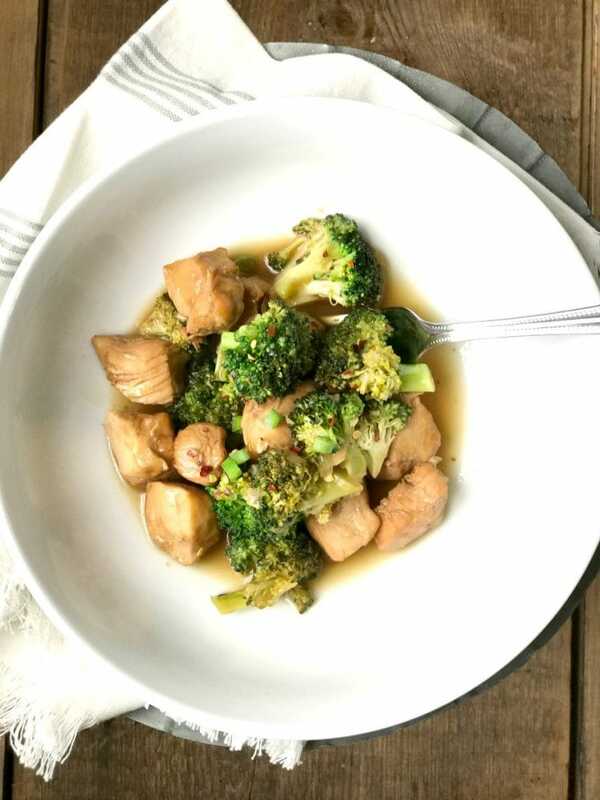 This delicious Instant Pot Chicken and Broccoli is a healthier spin on the take-out favorite! It’s gluten-free, dairy-free, 21 Day Fix approved, and oh-so-easy to make in the Instant Pot! Whisk coconut aminos, chicken stock, honey and fresh ginger together. Set aside. Set Instant Pot to Saute. When it’s hot, add coconut oil and shallots and sauté until they begin to soften and become fragrant. Add in garlic and cook an additional minute. Pour stock mixture into the IP and add in diced chicken. Cover and lock your Instant Pot and set to manual/pressure cook for 7 minutes. When cook time is up, finish with a quick release. Carefully take off the lid and remove cooked chicken, set aside. Remove 1 cup of the cooking liquid and make a slurry by whisking in 1/2 T of arrowroot starch. Mix until well combined and then return to pot. Set IP to sauté and stir until the sauce begins to thicken. Repeat slurry process if necessary (it wasn’t for me) . Stir in salt. Turn pot to keep warm. Add in chicken and chopped broccoli florets and stir everything together. Place lid on IP and give the broccoli 5-10 minutes to steam from the heat of the pot. When broccoli is to desired tenderness, garnish with some scallions, crushed red pepper, and additional grated ginger if desired (I did all three). This would also be delish with sesame seeds – just be sure to count your orange container! Your first step of the directions say to add beef stock. I’m sure it is supposed to say chicken but just wanted to let you know. I look forward to making this asap! Yes! I really thought I changed that :). Thank you! Just finished eating. Had to adapt for my dietary issues but it was delicious despite that and I don’t find many recipes that work out like that. After the broccoli finished cooking, I tasted for salt and.felt it was just calling for pineapple so I added some, then served it over riced cauliflower. Perfect fit. Thanks so much. That’s amazing!! So, so happy!! 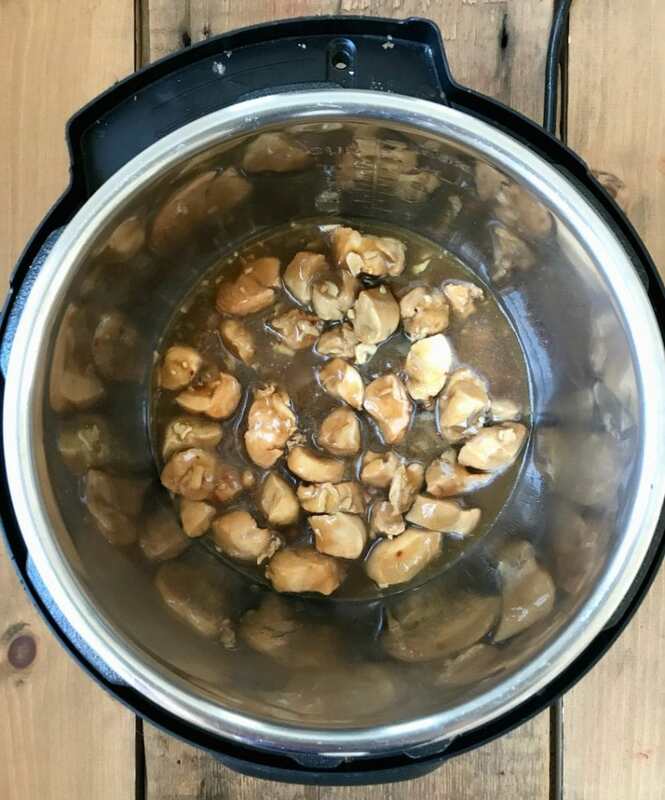 Tried this for my very first go at the Instant Pot. Winner! It was very very good! Although I didn’t feel very “Instant”. #iwantmagic #rookie Tagged on Insta. 🙂 Thank you! LOL! I am happy you liked it! About to make this tonight for the first time – I’m worried the chicken will come out rubbery. I’ve had such bad luck with this issue in the past! Any thoughts on how to prevent this? The short cook time plus the chicken being diced will prevent this! I promise! 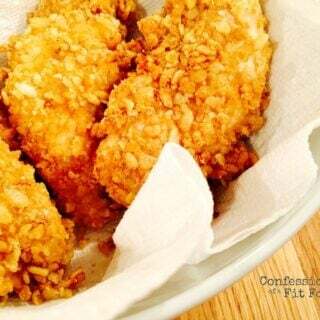 I was actually shocked and very impressed at how tender, juicy and moist the chicken was! And I even let mine cook a smidgen longer to make the broccoli a little more soft. I loved the recipe!!!! Made this for dinner tonight, sooo good! The only thing I did differently was that I marinated the cut up chicken in the sauce mixture for a few hours. Will make again! I love that idea! Thanks, Melissa! This looks amazing, definitely going to be making this in the near future! I just found your page and have been saving pretty much every recipe so far. As far as this recipe goes, do I need to add any extra liquid for an 8 quart cooker? I have seen where you usually make notes to do so on other recipes and just want to make sure it turns out. Thanks in advance and I can’t wait to try all of these!! Hi! You should be ok to not add water to this recipe! Let me know how it goes! Hi, Can you clarify the broccoli part? I used pre-cut broccoli florets and they did not cook at all. I might be misunderstanding the instructions. 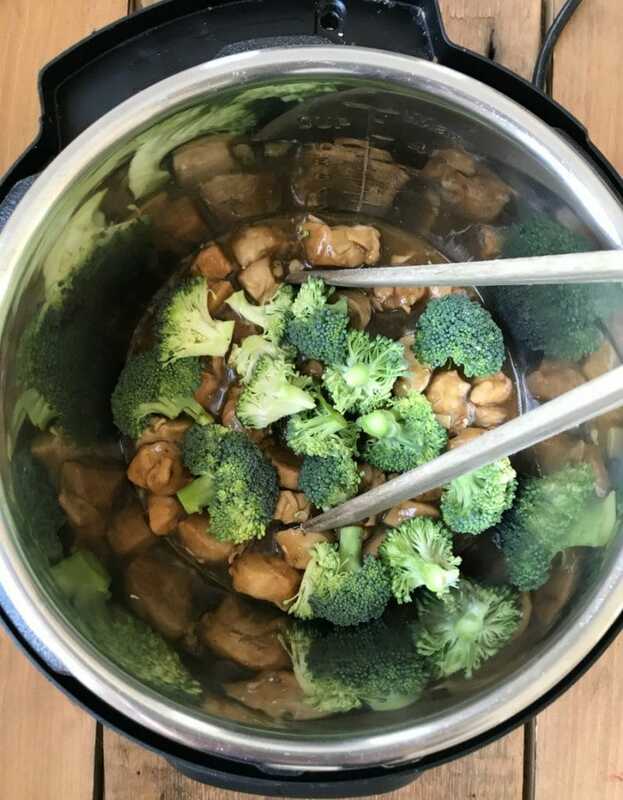 After cooking the chicken and sauce, I placed the broccoli in the IP with the other ingredients and the power set to “Keep warm” for 5 minutes. It didn’t cook at all, so I had to take it out to microwave it, especially since the chicken and sauce were done and I was afraid the sauce would burn and the chicken would disintegrate. Any suggestions appreciated. Thanks! That’s exactly what I do! 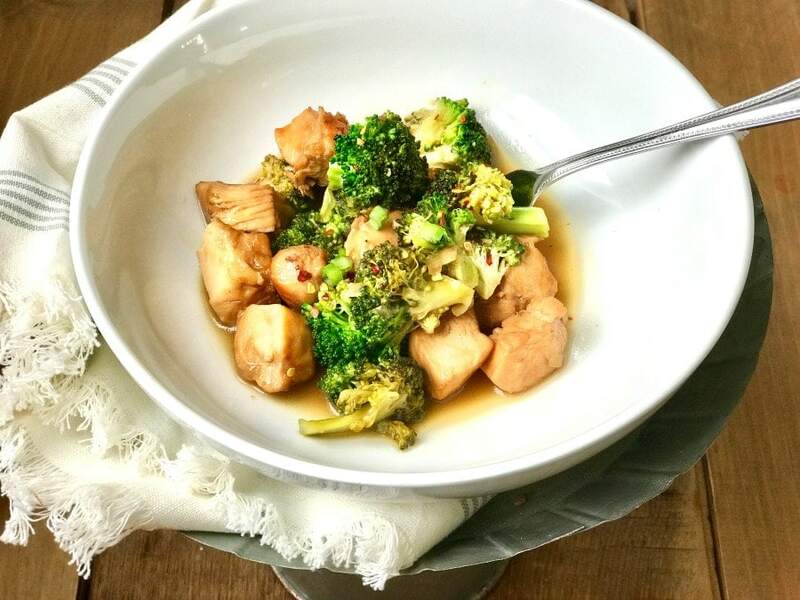 You can always remove the chicken and steam the broccoli for zero minutes before thickening the sauce. If I double the recipe how long should I cook it in the IP?